This installation is the result of a Do-it-yourself exercise developed by Silam team that explores the various ways in which materials such as silicone can be transformed . By giving workshop participants a kit with materials the aim is to introduce contemporary thought processes and alternative practice into their own activity, bringing to the artists the opportunity to explore new conceptual and experimental areas. This exercises was designed by the artist with the goal of reflecting how the maker movement allows creative approaches working with electronics which in turn spur innovation and collaborative experiences, Furthermore, it opens a dialogue concerning multiple experimental aesthetics and processes for combining creative responses and the roles artists can play. 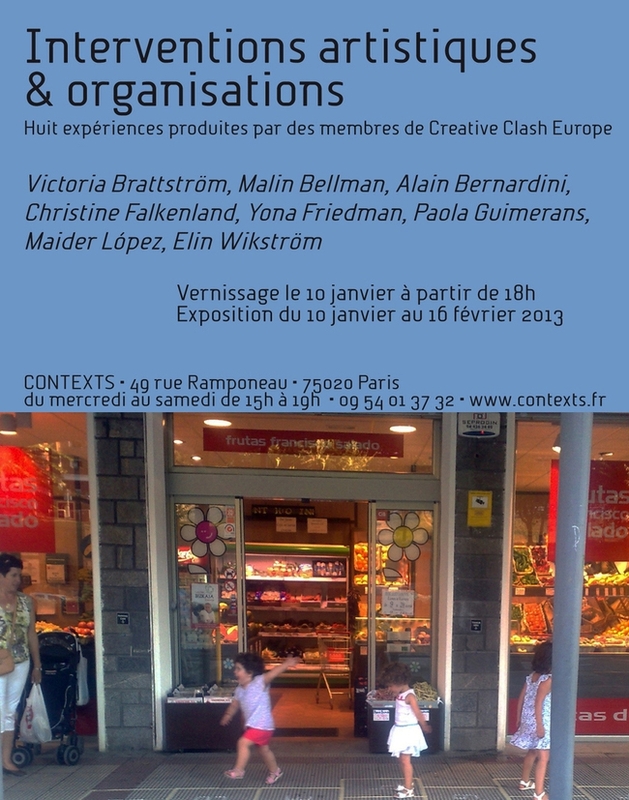 Three producers of artistic interventions within the projet Creative Clash made these experiences possible : Conexiones Improbables in Basque Country, 3CA in Ile-de-France and TILLT in Västra Göteland. With the support and guidance of these intermediaries, artists addressed a question that the host organizations were grappling with. This kind of initiative is growing in many countries today. Organizations of all sizes and in all sectors are inviting artists to work on issues and interact with employees for a few hours, days, months or even years. The objective of these interactions is not specifically the creation of a work of art, although works do emerge in and from the process. The goal of the workshop is that Silam workers learn how to make an interactive bracelet using silicone. By introducing them to a series of Do-it-Yourself methodologies and tools they will participate in a collaborative hands-on exercise to create a wearable interactive object, that later may be replicated in a 3D printing machine. During the workshop participants will learn as an exercise how to build soft circuits using differents conductive materials, such as conductive thread, fabrics or silicones. Also they will experiment working with smart materials, such as photoluminescent silicones. The activity technique and the workshop is designed by the artists for Silam. The materials for the workshop will be given to the participants as a kit . The components are polymeric clay, conductive silicone, conductive thread and fabric , color LEDs, fosfluorescent silicone and a 3V battery. Participants will be encourage to interact in the research by prototyping with this materials an interactive object and by sketching their ideas on paper.